Not Verified | A small but tidy airport, adequate for short transits. The security/x-ray procedures for transit can be time consuming if more than one flight arrives at once. Expect an hour of queueing to get through the security. If you have a short connection staff will call you out of the normal queue just in time for your flight. For longer transits there is nothing to do in the airport and little food. The only coffee shop airside was closed in December. A transit visa is available on arrival (for AU) and costs $BN5. Money exchange is near the immigration area and easy. Meter taxis are supposed to be available but on my 10pm arrival none were available, unmetered all charge $BN20 for even the shortest trip. On my return the next morning the hotel booked me a car for $20. Overall a transit stop in a budget hotel adds $AU100 to your trip. 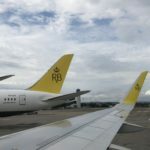 Unfortunately the new schedule with Royal Brunei (since Oct 18) now require long stopovers and overnight transit in Brunei when connecting to SEA destinations and this now makes other more expensive airlines a more attractive option. "Dry" flights and inconsistent alcohol rules may also influence travellers. Immigration staff are slow, poorly organized and lazy, Visa stamps tend to take up a full passport page where they could use only a third like other countries. This trip was 50 minutes waiting at immigration. Business Class lounge is quiet and comfortable for short stops. Has shower facilities but nowhere to sleep. Food is hit and miss depending on time of day and number of guests. No alcohol in the lounge. An airport to be tolerated rather than enjoyed. Singapore/Kuala Lumper/Bangkok are all far better options. "much better now since renovation"
✅ Trip Verified | Landed in Brunei from Melbourne on my way to Dubai using RBA. Change between terminals is so easy, 20 minutes from the plane to the departure lounge, so no issues at all. Food selection is very limited and basic, it would be nice if they added more food options other than the Cafeteria on the 1st floor. Shopping is so limited, great for my wallet. Smoking room was under maintenance, so I couldn't smoke, bathroom was perfect though. The staff are very friendly over all, I believe this airport will be perfect if just a little extra is made. Love to go there again in September. ✅ Trip Verified | Transiting here despite a short interval of one hour between flights was easy. It’s been revamped since last visit and has a lovely new feel. The signage was excellent. We had to go through security despite having just alighted however that was fast and easy. Our next gate was not far away to walk. The toilets were in good condition. Return transit turned out to be longer as our plane was delayed 14 hours and we had to enter the country. Again this was done quickly and efficiently, I have no complaints at all. Departing was just as easy although being such a small airport there is not much to do or see there - bring your own book/entertainment. All in all a good experience with this small but efficient airport. 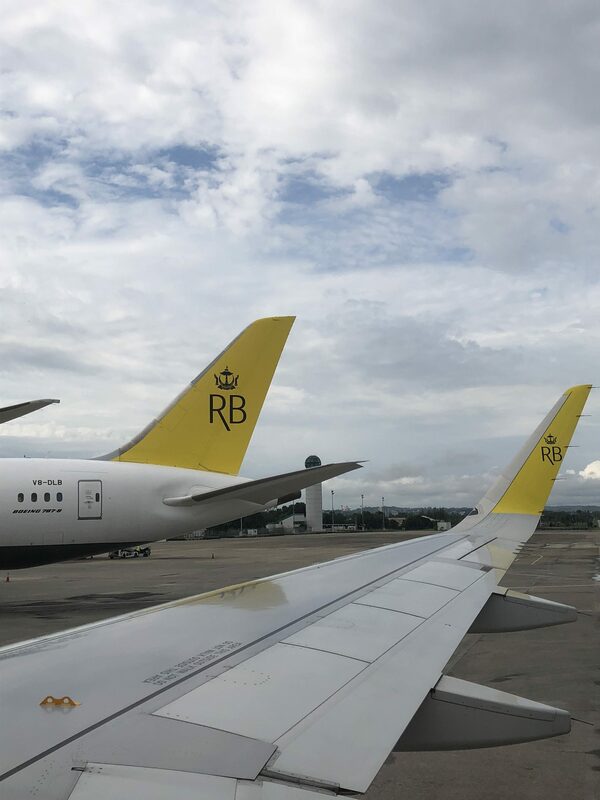 "staff seemed engaged and friendly"
✅ Verified Review | I expected much worse of Brunei airport after reading some of the reviews here. In fact, although small, I found it large enough not to be claustrophobic, with clean and spacious toilet facilities, and mercifully adequately air conditioned. Not many shopping or eating options, but how much do you really need on a short layover? The staff seemed engaged and friendly. Before flying I consulted the government's website for the airport, but it was pretty poor - the site was very so old-fashioned and extremely short on useful information. There were more details from passenger forums. "Delays, expensive, negligent, rude, unhelpful"
✅ Verified Review | Delays, expensive, negligent, rude, unhelpful. Partner and I were flying Royal Brunei to KK (Kota Kinabalu) from Melbourne, our total transit time was 1 hr and 45 minutes. However upon arrival we find our 45 minute flight was delayed 5 hours. That's 5 hours from 7pm to just after midnight in an airport where it is impossible to get any kind of fresh food. 1 convenience store serving instant noodles, and 1 cafe that had stale pastries and day old meat pastas. Being a vegetarian there was nothing I could eat, apart from 2 minute noodles from the airport 'convenience' store. On our way back, I made the mistake of buying 2 bottles of whisky (both gifts) from KK International airport. The duty free attendant, despite taking note of my boarding pass into Brunei, did not mention anything about alcohol confiscation in Brunei. (I thought being sealed in Duty free packaging would be fine). However, as we passed customs to transit for 1 hour, the two bottles were confiscated, with not so much as a 'Sorry'. Instead the service woman smiled rather rudely and asked for our baggage tag that was given to us upon check in at KK airport from Royal Brunei airlines. Instead of taking time to explain why I had just lost over $150 AUD worth of goods, she instead just told me to read the tiny piece of paper that was stapled under the baggage tag. It read: "All items in excess of 100 ml will be confiscated in Brunei, regardless of whether the items are purchased duty-free from another airport or packed in tamper-evident bags. Please note that no airline shall be held responsible for confiscated items." I could not find this information anywhere on the Australian customs/border control website. At the duty free shop in KK I was not warned, at check in, the Royal Brunei clerk clearly said 'Here are your baggage tags', not 'Here are your baggage tags, and important information regarding carrying alcohol into Australia, since you are transitting Brunei'. Morale of the long story. Read every piece of paper you are given by airport and airline staff, no matter how small. And when stopping in Brunei airport, take no chances with your duty free liquor, or it is good bye money. "this time I was pleasantly surprised"
✅ Verified Review | In 2014 I wrote a review which reflected very badly on Bandar Seri Begawan Airport. However in December 2016 I transited in this airport for the first time since because Royal Brunei Airlines were by far the cheapest for flying from Surabaya to Bangkok Suvarnabhumi. This time I was pleasantly surprised. The renovations are now finished and although dining and shopping options are still not great, they have improved considerably since 2014. Now you have shops in which you can buy snacks and other ones that sell cosmetics and souvenirs. However this airport lacks a bar or a proper duty free shop that sells wine, liquour and cigarettes. I do realise Brunei is a Sharia Law country but airports should be treated as international zones like many in the Middle East are. If they made these improvements, then Brunei Airport would be even more competitive in the international air travel market. Away from shopping and dining, one plus to transiting in Brunei is its small size, which makes short transfer times feasible. Also one negative is that only one security check point was open. I was lucky because I was almost at the front of the queue but I could see a large queue forming behind me. Overall this airport has improved and provided a satisfactory transit experience for myself. Hence I would recommend it especially if someone is desperate to save money on their plane ticket However it still has a long way to go if it is to compete with other hubs like Singapore Changi, Bangkok Suvarnabhumi and even Jakarta Soekarno Hatta. My whole journey was fine to London but I had to wait in Bandar Seri Begawan airport for around 2-3 hours in transit. It was really boring. I wanted to get a Power Plug because I forgot to buy it in Melbourne but they had nothing. For a small airport it is alright but for me I would personally not travel through this airport again. All the food stores were closed and only had a coffee shop and a buger king. It was a very small terminal which meant that it was very easy to find the gate. "miserable selection of food and drink"
I travel extensively and without doubt Brunei (Bandar Seri Begawan) is the most depressing airport I have encountered. A miserable selection of food and drink, no choice but to drink second rate coffee and dry, souless food in the only cafe upstairs. It's like going back to the 1980's ! If you are hoping to use the Internet to break the tedium, forget that too, slow or non-existent WiFi. It's best, if you have time, to go out and have a look around the slightly less depressing city. You can't even buy a beer in the airport, which I find particularly insulting. These days I try to avoid this airport at all costs. Bandar Seri Begawan airport is dull and bland, the only decent vocab I could use for such so-called "international" airport. It felt like a scene from the walking dead because not one footstep can be heard. No staff, no security and no facilities. Boring place, the only place that can cheer me up is Burger King, other than that, there is an overpriced coffee shop and also a useless airport shop. Signs were everywhere, and as mentioned, no staff to ask around. Pathetic but very clean tho. WiFi also very slow.